Looking to go camping as the weather warms up? Camping gear can be pricey, but you can save on the Coleman Sundome 2-Person Tent on Amazon! 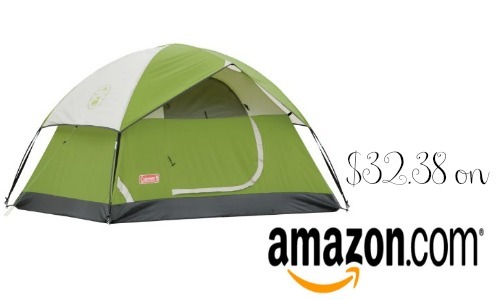 You can get the tent for $32.38, regularly $64. Walmart currently has this tent for $37 so grab it from Amazon for the best price. Designed with the exclusive WeatherTec system, this Sundome tent keeps you safe from the elements, so be sure and check out all it has to offer. Note: Prices on Amazon may change at any time. Shipping is FREE with orders of $35 or more or with Amazon Prime.